State Rep. Samantha Kerkman (R-Randall) said that she has received her committee chairmanship assignments for the upcoming legislative session. Kerkman will serve as Assembly Co-Chair of the Joint Audit Committee and Vice-Chair of the Assembly Ways and Means Committee. The 2013-2014 legislative session will mark Kerkman’s seventh term in the State Assembly and as a member of both the Joint Audit and Ways and Means Committees. Kerkman’s district includes Western Kenosha County, except for Wheatland, along with much of Pleasant Prairie and part of Somers. “I look forward to continuing to lead the Joint Audit Committee as we work to ensure efficiency in state government spending and operations,” said Kerkman. 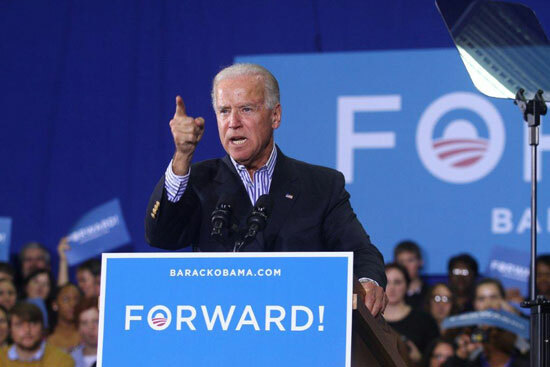 Vice President Joe Biden was campaigning Friday in Oshkosh and then in Somers at UW-Parkside. Between the two appearances, he also had time for a quick stop at Mars Cheese Castle in Paris, specifically. Here’s a story from politico.com about the Paris visit. Here’s coverage of the UW-Parkside speech from WLS-TV. The selection of U.S. Rep. Paul Ryan as the Republican Party’s nominee for vice president was made official this morning in a speech by presidential candidate Mitt Romney. Romney introduced Ryan at a campaign appearance in Norfolk, Virginia, in front of the retired battleship USS Wisconsin. After he was introduced, Ryan ran down the ship’s deck to the podium. Here’s some live blog coverage of the speeches from USA Today. 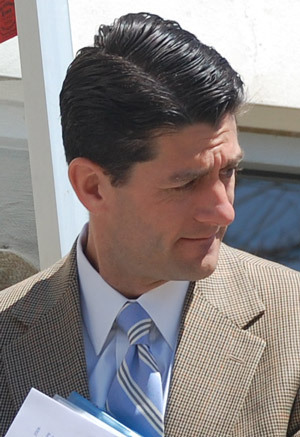 Ryan’s Congressional district includes all of Kenosha County. National websites seen as representing the opposite sides of the political spectrum are reporting that Republican Presidential candidate Mitt Romney will name U.S. Rep. Paul Ryan as his vice presidential running mate tomorrow. The Romney campaign is only saying that the announcement will be made Saturday morning. The conservative Weekly Standard says the Romney campaign is doing much more preparation for Ryan being the choice than any other candidate. The liberal Huffington Post says its sources say Ryan — whose Congressional District includes all of Kenosha County — will be the choice. Joseph Kexel of Kenosha has announced his candidacy for the US Senate as a Libertarian candidate. This afternoon, Congressman Paul Ryan hosted a listening session at the Gateway Technical College’s Madrigrano Auditorium. Last week, Ryan met with Wisconsinites in Muskego, Oak Creek, and Racine. 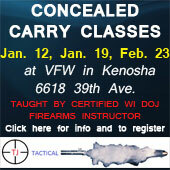 Today, he had sessions planned in Janesville, Elkhorn, and here in Kenosha. About 200 people were in attendance. Ryan’s plan was to give his PowerPoint presentation and then allow time for questions and answers. However, some people in the audience didn’t want to hear his presentation and started rabble-rousing. Polls are closed in the 22nd Senate District and some early results are in at 8:20 p.m.
A recall effort was started against incumbent state Sen. Bob Wirch after he and 13 other Senate Democrats left Madison for Illinois — where they stayed for about three weeks — to avoid a quorum for a vote on Gov. Scott Walker’s controversial budget repair bill last February. Political newcomer Jonathon Steitz survived a Republican primary to challenge Wirch. With four of 95 polls reporting in Kenosha County,Steitz is leading incumbent Wirch 1768 to 1555. UPDATE 8:26 p.m. — Steitz 2366; Wirch 1993. No Racine County results yet.Racine County portion of the district is parts of the city and town of Burlington in far western Racine County. All of Kenosha County, except Wheatland, is in the 22nd District. UPDATE 8:32 p.m. — Racine County reporting some returns. Overall count now Steitz 5229; Wirch 4071. UPDATE 8:35 p.m. — One more poll reporting. Steitz holds about same percentage margin over Wirch — 56% to 44%. UPDATE 8:42 p.m. — Nine Kenosha County polls reporting now. No change in percentage of Steitz lead. UPDATE 8:44 p.m. — Ten polls in, Steitz percentage holding steady. UPDATE 8:48 p.m. — Twelve polls reporting, Steitz slips one percentage point; now 55% to 45%. UPDATE 9:06 p.m. — Thirteen polls, no change in lead by percentage for Steitz. UPDATE 9:09 p.m. — 21 polls now reporting — Wirch takes lead in Kenosha County; Steitz still has edge overall 51% to 49%. UPDATE 9:13 p.m. — With 27 Kenosha County polls reporting now, Wirch takes lead overall — 52% to 48%. UPDATE 9:16 p.m. — 46 polls in Kenosha County now reporting; Wirch leading 55% to 45%. UPDATE 9:29 p.m. — With 89 polls in Kenoshs County now reporting, Wirch lead widens to 56% to 44%. UPDATE 9:37 p.m. — With all but one Kenosha County poll, and all Racine County polls reporting results, Wirch leads 58% to 42%. UPDATE 9:57 p.m. — All 95 polling places in Kenosha County and all Racine County polls reporting: Wirch wins 25541 to 18838 or 58% to 42%. These are unofficial results and could still change some tonight as additional ballots — such as absentee votes — are counted. State Sen. Bob Wirch and his challenger in the Aug. 16 recall election Jonathon Steitz traded views in a forum at the Kenosha Country Club this morning. The forum was hosted by the Kenosha Area Business Alliance and the Kenosha Area Chamber of Commerce. If you see a food pantry worker in Kenosha today wearing a Packer jersey in a way that just doesn’t say fan, it’s probably just Illinois Gov. Pat Quinn. Polls closed at 8 p.m. in the 22nd State Senate District recall election. At 8:33 p.m., Jonathon Steitz has an early and sizable lead over Fred Ekornaas in the Kenosha County portion of the district — 1118 to 627. Part of the district also is in Racine County. UPDATE 8:44 p.m. — Race is much tighter in Racine County: Steitz 655 to Ekornaas 551. UPDATE 8:58 p.m. — With 23 polls of 95 reporting in Kenosha County, Steitz has 66% to 34% margin over Ekornaas. UPDATE 9:15 p.m. — With 84 of 95 polls reporting in Kenosha County, Steitz lead at 64% to 36% for whole district. UPDATE 9:20 p.m. — With 94 of 95 Kenosha County polls reporting, Steitz still maintaining 64% to 36% margin (5,981 to 3,369). UPDATE 9:23 p.m. — Above numbers now reported as with all 95 Kenosha County polls reporting, but not complete. Steitz winning. UPDATE 9:26 p.m. — Kenosha County unofficial results complete now. Steitz wins 5,981 to 3,369. Gov. Scott Walker was in Kenosha Monday to deliver some food to The Shalom Center. Opponents of the governor turned out at 1 p.m. for a protest organized through social media. But the governor had changed his schedule and was there and gone by then. State officials will get a week more to review the recall petitions of three Democratic state senators — including Kenosha County’s Bob Wirch. A Dane County judge granted the extension Friday, various media outlets are reporting. The Government Accountability Board will now have until June 10 to certify or deny the recall election for Wirch. The recall election would be held July 19 if it moves forward. Jonathan Steitz has added his name to the people who will run against state Sen. Robert Wirch in a recall election. Steitz, a local attorney , made the official announcement of his candidacy Wednesday at a press conference in Pleasant Prairie. 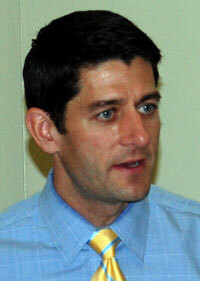 Kenosha County’s congressman Paul Ryan has ended speculation that he might run for US Senate. He won’t run. Current US Sen. Herb Kohl announced this week that he will not seek re-election. County Board Supervisor and Bristol Municipal Judge Fred Ekornaas has announced he will challenge state Sen. Bob Wirch if a recall election is scheduled, WGTD radio 91.1 FM is reporting today. U.S Rep. Paul Ryan held a series of listening sessions Tuesday in Kenosha County at which he detailed his vision of the federal budget and took questions from audience members. 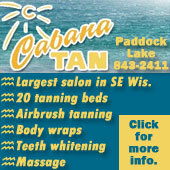 The audience at the first session in Twin Lakes was supportive. The audience at his second appearance in Paddock Lake was more mixed. In Kenosha, there were protesters out front. All three appearances had more people that wanted to attend than the rooms they were in could hold. Meanwhile, westofthei.com does have extensive video from the Western Kenosha County sessions. It’s likely that Ryan’s statements were similar in Kenosha, even if the atmosphere was more charged. With Congress at the forefront of the news — and he individually among the most high profile congressmen right now — U.S. Rep. Paul Ryan has announced larger venues for some of his listening sessions scheduled for this week — including Kenosha. 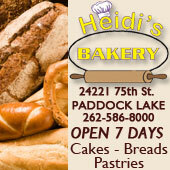 Earlier in the day he will making stops in Twin Lakes and Paddock Lake. Ryan said he decided to use larger venues in some instances, like Kenosha, to accommodate expected larger crowds. “Having these meetings in larger venues provides an opportunity for more individuals to join the conversation about how Congress can reduce our debt, rein in out of control spending, and put in place a plan for economic growth and job creation,” Ryan said in a prepared statement. The campaign collecting signatures for a recall of state Sen. Bob Wirch says it has enough signatures to force that election, but will continue to collect more signatures, JSOnline is reporting. Wirch’s 22nd Senate District includes all of Kenosha County, except Wheatland. Wirch became a target of a recall after he and 13 other Senate Democrats left the state to avoid a quorum for a vote on Gov. Scott Walker’s budget repair bill. That bill included among its provisions reductions in the collective bargaining power of public employees. 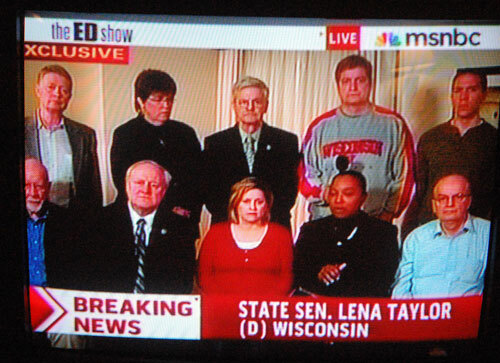 State Sen. Bob Wirch, far right in the front row, on tonight's The Ed Show. With state Senate Republicans passing a bill curbing collective bargaining rights for public employees in a surprise move tonight, Kenosha elected representatives were prominent on national airwaves criticizing the move. Wirch’s district includes all of Kenosha County except for Wheatland. Barca represents a northside Kenosha district. 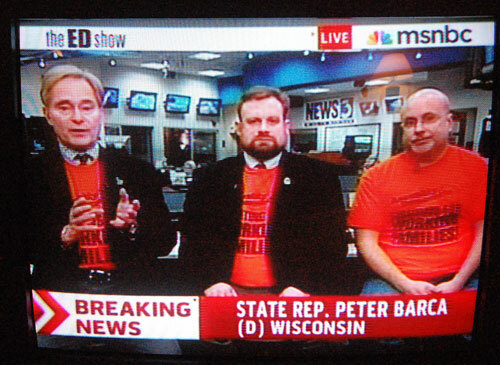 State Rep. Peter Barca, far left, on MSNBC's The Ed Show tonight. 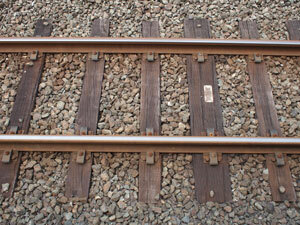 KRM nearing end of line? 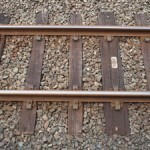 A bill introduced last week to kill the Southeastern Regional Transit Authoritywould also likely take the KRM commuter rail line from Kenosha to Milwaukee with it, the Journal Times is reporting. 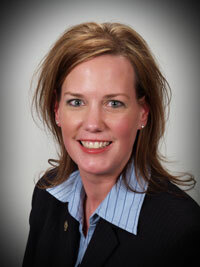 State Rep. Samantha Kerkman, who district includes much of Somers, is a co-sponsor of the bill. The Republican majority in the state Assembly called an end to debate on the governor’s budget repair bill today and then proceeded to pass it. Barca’s whole statement is here. 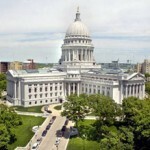 Wisconsin legislators have been clashing for two week over the bill, which among its provisions includes reducing collective bargaining rights for public employees. Gov. Scott Walker made the rounds of the state today — including a stop at Kenosha Airport — to urge 14 Democratic state Senators to return to the Capitol to vote on his budget repair proposal. Bob Wirch, the Democratic state senator who represents most of Kenosha County, is one of the legislators in Illinois to avoid a quorum call and subsequent vote on Walker’s proposal. 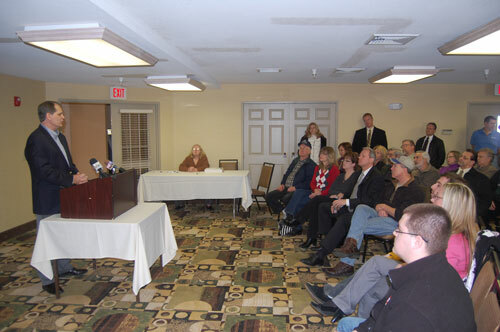 Dan Hunt (left) addresses a press conference Thursday at the Holiday Inn Express, Pleasant Prairie. An effort to gather enough signatures of 22nd Senate District residents to force a recall election for state Sen. Robert Wirch has begun. Dan Hunt, the chairman of recall exploratory committee, announced Thursday afternoon in Wirch’s hometown of Pleasant Prairie that the group has 60 days to gather approximately 18,000 signatures of district residents 18 or older, who may or may not be registered voters. If enough legitimate signatures are gathered, Wirch would face any other properly filed candidates to retain his seat in a special election. 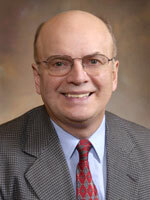 Wirch is one of 14 state Senate Democrats who are out of state in order to avoid a quorum call and vote on Gov. Scott Walker’s budget repair bill. Hunt said the recall was driven by Wirch’s “dereliction of duty” in staying away from the Capitol. The 22nd District, which Wirch has represented since 1996, currently includes all of Kenosha, Pleasant Prairie and Somers. State Sen. Robert Wirch, the Democrat who represents most of Kenosha County in the State Senate, was quoted extensively in a Huffington Post story on Scott Walker’s phone call with a reporter posing as a well-known ultra-conservative businessman. Wirch says the phony call was useful in a couple of ways. One, the Democratic senators now know some of the governor’s more sneaky plans for getting Democrats back to the state. The 14 Democrats are in Illinois to avoid a quorum being called to vote on Walker’s budget repair bill that would reduce collective bargaining rights for public employees statewide. The Kenosha County Board adopted a resolution Tuesday opposing Gov. Scott Walker’s proposal to reduce collective bargaining power for state employees to only wages as a way to address anticipated budget deficits. Several media outlets are reporting that state Sen. Bob Wirch, who represents most of Kenosha County, is the subject of a recall effort. If this proceeds, you might be asked to sign a petition. To get a recall on the ballot, 15,000 signatures would have to be collected within 60 days. UPDATE 7:57 p.m. — Recall organizers are scheduled to make an announcement about their efforts Thursday. Even drunk hunters know you don’t go into the woods unless you’re wearing orange during deer hunting season, because it makes it easier to see you. So how hard can it be to find a bunch of Democrats wearing bright pumpkin colored shirts that scream they support worker’s rights, while they speed out of town in a Prius? 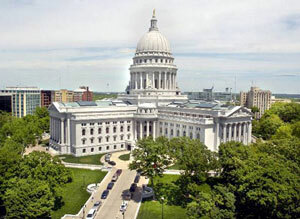 The Kenosha Professional Police Association on Monday announced its opposition to the provisions in the Budget Repair Bill designed to dismantle public employee unions in Wisconsin. “We appreciate the fact that Governor Walker recognizes the unique work that law enforcement officers do. However the KPPA is unable to stand by while legislation moves forward that undermines the rights of our brothers and sisters in other public employee unions,” Steve Lampada, president of the KPPA said in a statement today. “We work with these public employees every day and cannot support a two-tier collective bargaining system that treats them so different than we are treated. Kenosha Democratic State Rep. Peter Barca, Assembly minority leader, called on Gov. Scott Walker to end the impasse. There were more protesters than ever around the capital today. Whereabouts of the state’s 14 Democratic senators — including Bob Wirch, who represents most of Kenosha County — remains unknown.